Colouring books are so 2017. Now it’s all about scratch art! Keep reading to find out about this new craze as I review Scratch & Create: Enchanted Forest by Kailey Whitman. 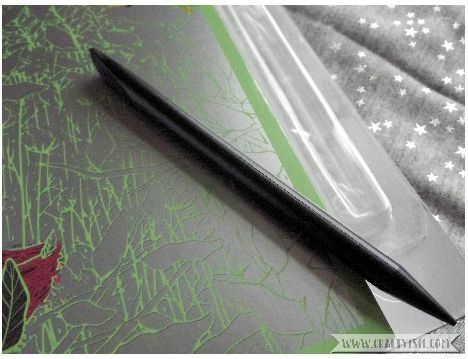 Included in Scratch & Create: Enchanted Forest is a book of 20 original art postcards and a plastic stylus. 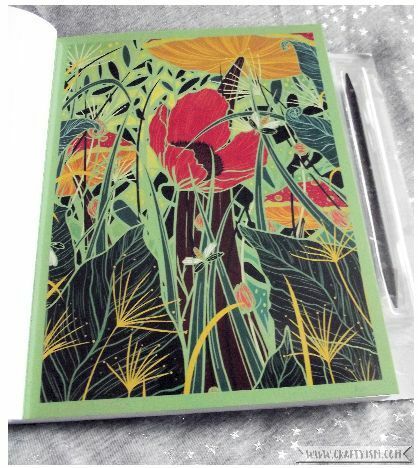 Each postcard is covered in a silver metallic coating, which when scratched off with the stylus, reveals the colourful image underneath. The postcards are all perforated so they can be easily torn out of the book and printed on the back with a space for an address and stamp. On each postcard the outlines of the image can be seen through the silver coating, so you can scratch off individual sections at a time. However, the outlines don’t disappear if you scratch over them meaning you can cheat and scratch all over the page. I think scratching each individual section makes it more of a mindful practice, like colouring books are. The main problem I had was with the stylus. It has a flat end and a pointy end so that you can scratch all the detailed sections of the designs. But I just couldn’t get it to work! When I did, I had to press so hard that I actually scratched off some of the coloured design underneath. In the end, I had to use a coin meaning I couldn’t be as detailed as I would have liked. 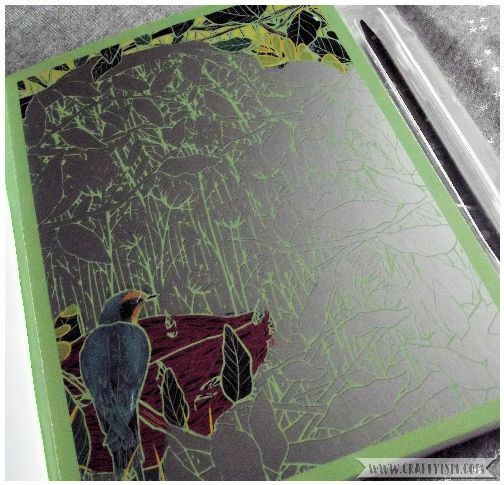 The designs by Kailey Whitman in Scratch & Create: Enchanted Forest are all very beautiful and modern. She is a very talented artist and it’s exciting to see the art slowly revealed. You’d be very happy if one of these postcards came through your door! I think if the stylus had worked it would have made me take more time over scratching off the designs, but overall I had fun with this new creative hobby!